When we arrived at Elm Ridge Ranch in Manor, Texas, owner Anne Brockenbrough memorably told us, “You’re in the right place. 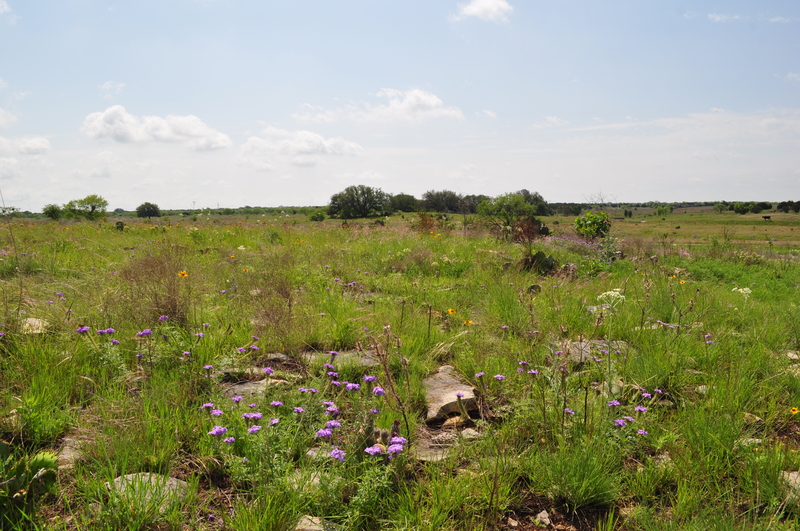 There are wildflowers and milkweed everywhere around here!” Anne’s ranch is located in the Blackland Prairie region, a high priority for monarch conservation, as less than one percent of the native Texas prairie remains. A monarch caterpillar feeds on a milkweed leaf. 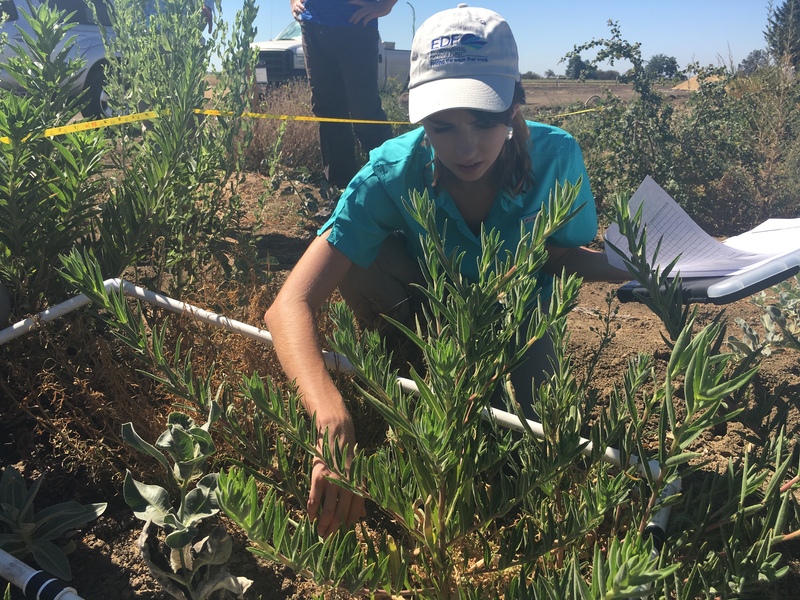 We were as excited as Anne to apply the program’s Habitat Quantification Tool (HQT) to quickly and accurately measure the quality and quantity of monarch habitat at Elm Ridge Ranch. 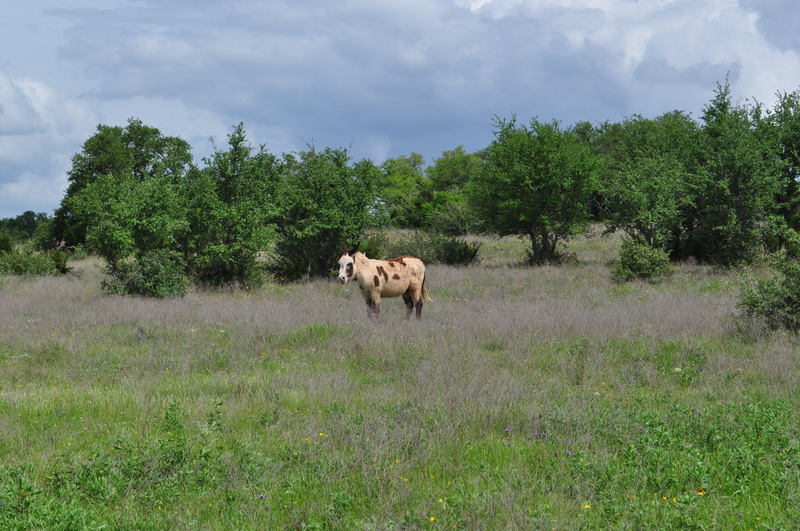 This testing required scoping out habitat locations that were deemed suitable for enhancement activities on the property and using GPS units to navigate to ten randomly-selected points in the targeted pasture location. We then paced out transects and counted milkweed and wildflower stems within each transect – a measure of existing nectar plant species richness and abundance, and a baseline for improvements that we expect to result from habitat enhancement activities. I’ve been pleasantly surprised by the level of enthusiasm that landowners like Anne have expressed when they witness this science tool in action, as it is an opportunity for them to learn more about their land and the diversity of plant species, which is also a sign of soil health and broader ecosystem health. We were all also pleased to have the opportunity to see monarchs at various life cycle stages, from caterpillar instars through adults. In addition to testing and calibrating the science tool, we also worked with each landowner to design enhancement projects that would work for them. The site of a previous prescribed burn at Wagley Ranch — an area now covered in a healthy diversity of plants. This process included everyone sitting down with a map of each property and determining a “game plan” for where and how best to enhance habitat. At Wagley Ranch in Mineral Wells, Texas, we visited with landowners Sue and Jay Wagley who have long collaborated with EDF to conserve habitat for the endangered golden-cheeked warbler. This time, we discussed ways that habitat could be conserved for monarchs as well. While applying the HQT, we observed three milkweed species and wildflowers in every color of the rainbow in an area that experienced prescribed burning six months prior. The site’s HQT score validated that the fire resulted in high-quality habitat for monarchs and pollinators. After discussing the benefits of prescribed burning with the landowners, together we designed Wagley Ranch’s monarch habitat enhancement plan, which includes additional areas that would benefit from prescribed burns to reduce competition from woody vegetation and non-native grasses for monarch-friendly wildflowers. At each of the various ranches we visited, it was moving to see how people with different backgrounds and experiences came together to make a plan based on what was best for the landowners, and for the butterflies. Shield Ranch, near downtown Austin, is a 6,800-acre property devoted to responsible range management and wildlife conservation. The landowners are exceptional stewards and are thrilled to start implementing new techniques to support monarchs – exactly the kind of landowners we’re seeking to enroll in the Monarch Butterfly Habitat Exchange. A field of wildflowers at Shield Ranch. Already, we’ve seen an impressive number of landowners raising their hands to participate, which is not surprising considering that the techniques to enhance monarch habitat quality are activities that help improve soil quality, water quality and provide other added benefits to the property. In order to unleash this untapped supply of monarch habitat, our monarch team is currently approaching a wide variety of potential demand sources including agribusiness, philanthropic foundations and the general public. 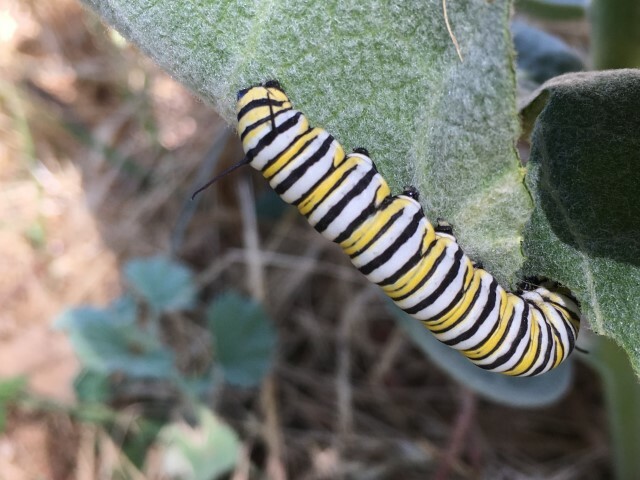 There are immediate opportunities for interested parties to invest in monarch habitat on ranches and farms in Texas, Missouri and California. Investment funds go directly to the Exchange Administrator – Biodiversity Works – for disbursement to high-priority projects. As we prepare to hang the “Open for Business” sign on the Monarch Butterfly Habitat Exchange this fall, I’m inspired by the enthusiasm that all stakeholders have shown. It gives me great hope that, very soon, many farms and ranches will have butterflies as part of their business models. 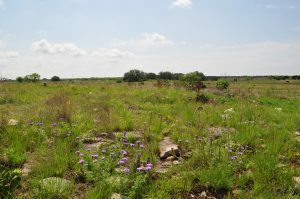 This entry was posted in ecosystems, Habitat Exchange, Wildlife Protection and tagged Elm Ridge Ranch, farms, habitat exchange, habitat quantification tool, milkweed conservation, monarch butterfly, monarch butterfly habitat exchange, monarch butterfly population, pollinators, ranches, Shield Ranch, Texas, Wagley Ranch. Bookmark the permalink. Both comments and trackbacks are currently closed. Very informative and exciting. So happy you are helping to bring balance to the world of monarchs. Keep up the good work. Very proud of you. Love you all the numbers. I love it when folks get together and share ideas. Great website; stick with it! Around the last of September or the first of October we have thousands of Monarch butterflies Come to our property with the first Canadian cold front. They stay here in till the next Canadian front.We have a two acre habitat for birds and butterflies.in the twenty two years that we have lived here this has happened.We invite anyone to visit our garden at this time to see the Monarchs. We live in Odessa Texas on five acres, with ranch land to the north of us.We have a pond with large trees that they come to for water and rest. I grow host plants for butterfly. I wish you could be here when they arrive! I think it would help you with your program!